Cube the cheese - about a 3/4 inch cube for each (you may have a little cheese left over). 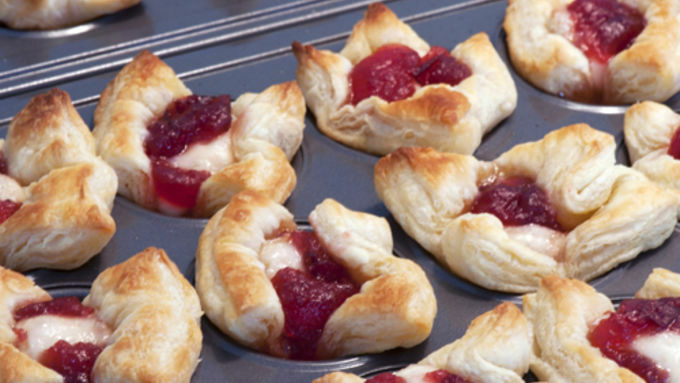 Place a cube of brie in the center of each puff pastry square. Top the brie with a small dollop (about 2 tsp) of cranberry sauce. 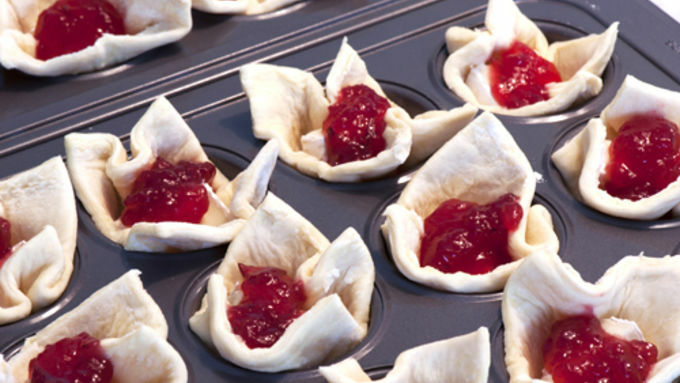 Bake about 10 minites or until puff pastry corners are toasted lightly brown. 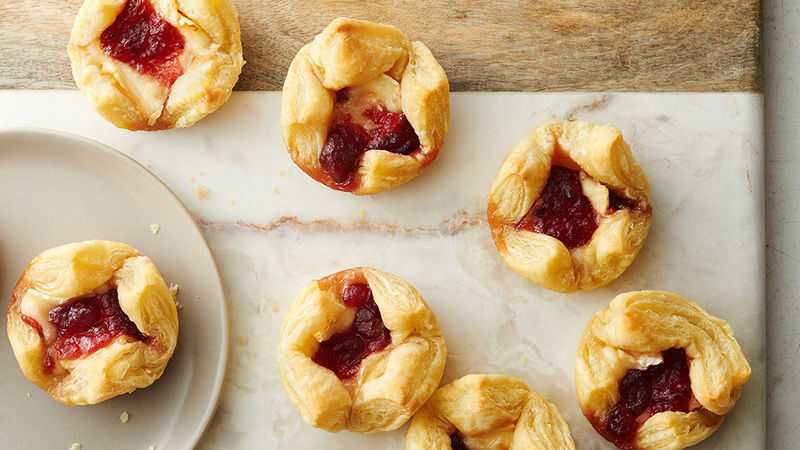 These yummy bites might look fancy, but don't let that fool you. (Definitely let it fool your friends, though.) I fell in love with these little Cranberry Brie Bites appetizers this fall when a friend brought them to our bi-monthly gourmet club. And when I said that I swooned, I meant that I tucked into more than my fair share. In fact, I can’t be sure anyone else actually had any. 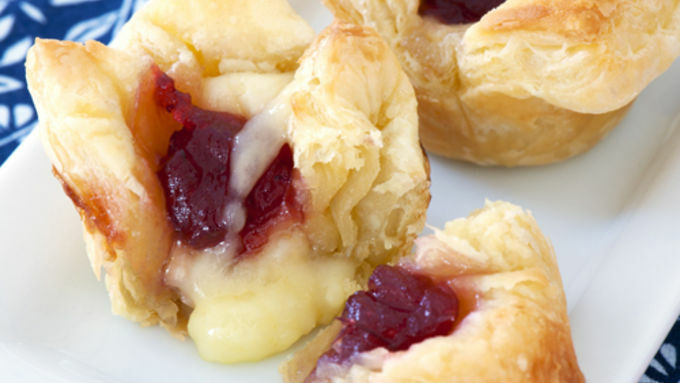 Melty cheese makes me a bit weak in the knees – the addition of a little fruit, the puff pastry and that’s about all I need. (Dinner, schminner! Where’s the Sauvignon Blanc!) Once I learned how easy Cranberry Brie Bites were to make, I wanted to share them with you! I was a bit intimidated by the puff pastry, having never worked with it before. 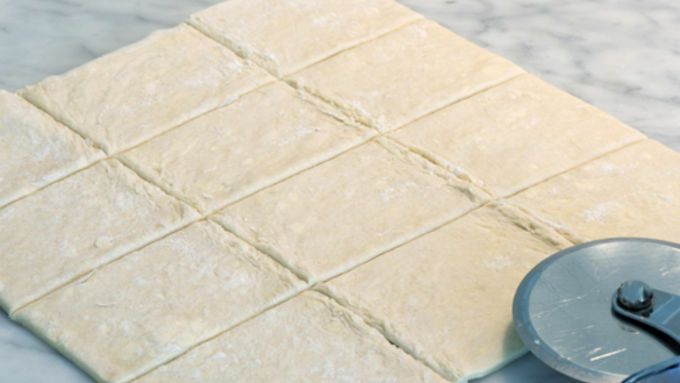 This recipe requires no additional rolling (I don’t know about you, but the rolling pin is my nemesis . . .). Just thaw the frozen puff pastry, and cut with a pizza cutter. Easy! Allow these golden bites of brie cool for a few minutes before serving and devour!